The German team of MG-34 light machine gun and an infantryman with the MP-40 submachine gun. Behind the second issue of the team – a removable barrel of the MG-34 machine gun in the bag. The machine gun has a high rate of fire (900 rounds per minute), quickly overheated and demanded the replacement of the barrel. 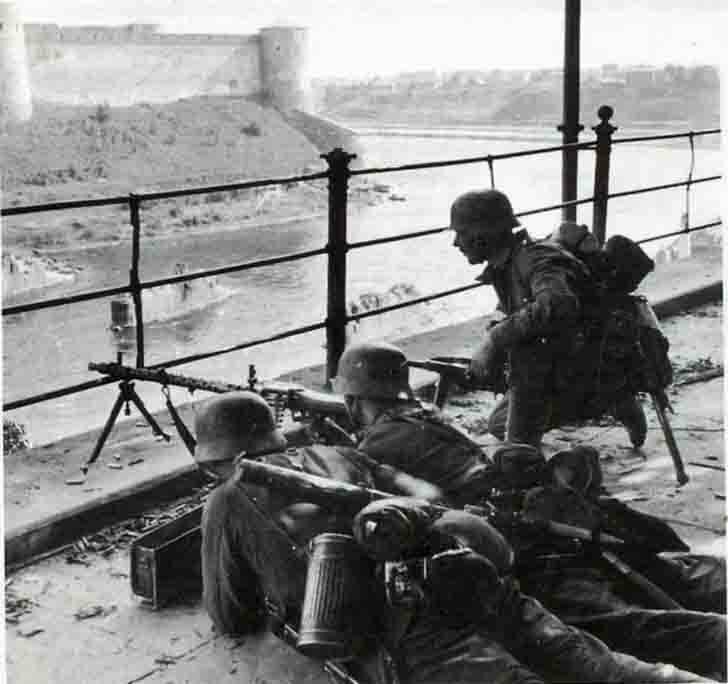 The Germans settled in the bastion from the town of Narva, on the contrary – Ivangorod, at the bottom – the destroyed bridge.